Many years ago I read this, and re-read this, and lent it to a cousin who never returned it. It was as good now was before! Italian romance during the time of Garibaldi. 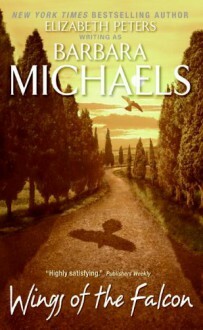 This is another one of my favorite Michaels books. It takes place in Italy and is a very traditional heroic journey, although you don't think it will be at the beginning. I really loved this book; I was surprised at how good it was.